Call (949) 724-6900 to reserve your spot! On May 31st of 2016, we lost one of our lab family members. Jared Roberts, one of the most brilliant and selfless individuals we have ever known, passed away suddenly and tragically. His memory will forever be with us, and his contributions both to science and to our lives will never be forgotten. Our thoughts and prayers go out to his family and friends. Below is a copy of his obituary. Memorials were held both in Irvine and in Salt Lake City. 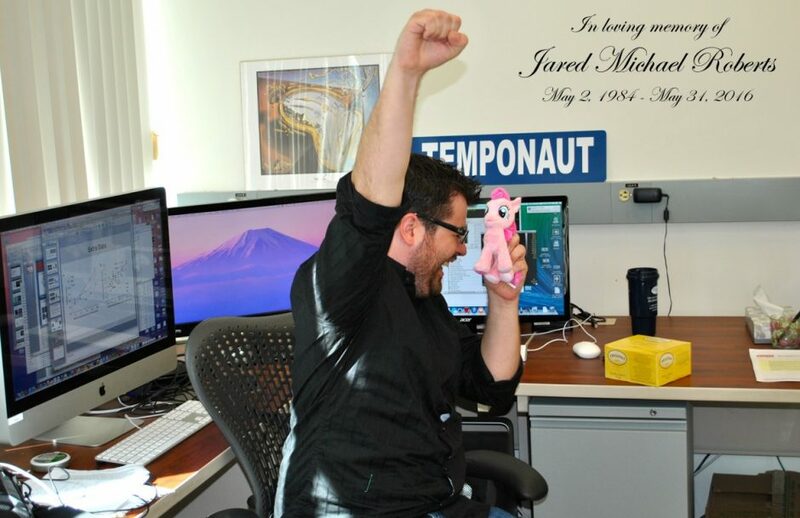 To read more about Jared’s career and scientific contributions please click here. On May 31st, 2016 the world lost an incredible, extraordinary soul. Jared was a cherished son, brother, grandson, nephew, cousin, uncle and friend. He was born May 2nd, 1984 to James Roberts Jr. and Treasa Riley in Salt Lake City, Utah. He graduated from Riverton High School in 2002. He explored different paths after high school starting with computer programming and technology, but ultimately discovered his passion in the field of neurobiology. He received his Associates degree in Psychology with honorable mention in 2008 from Salt Lake Community College. His continuous desire to learn led him to The University of Utah, where he received his Bachelor of Science degree in Psychology in 2012. He had found his ultimate passion. His exceptional talent had put him on the radar of two prestigious schools: Johns Hopkins University and University of California Irvine. He chose to attend Johns Hopkins but, after a couple years, he ultimately decided to follow his professor, mentor, and friend Dr. Michael Yassa to UC Irvine. There he was tirelessly working towards the completion of his PhD in Neurobiology and Behavior, which he would have completed in 2017. He was a brilliant scientist, a gifted mentor, and a selfless friend. He didn’t take life too seriously; his mischievous personality could always brighten the day. He always knew how to comfort anyone in need. 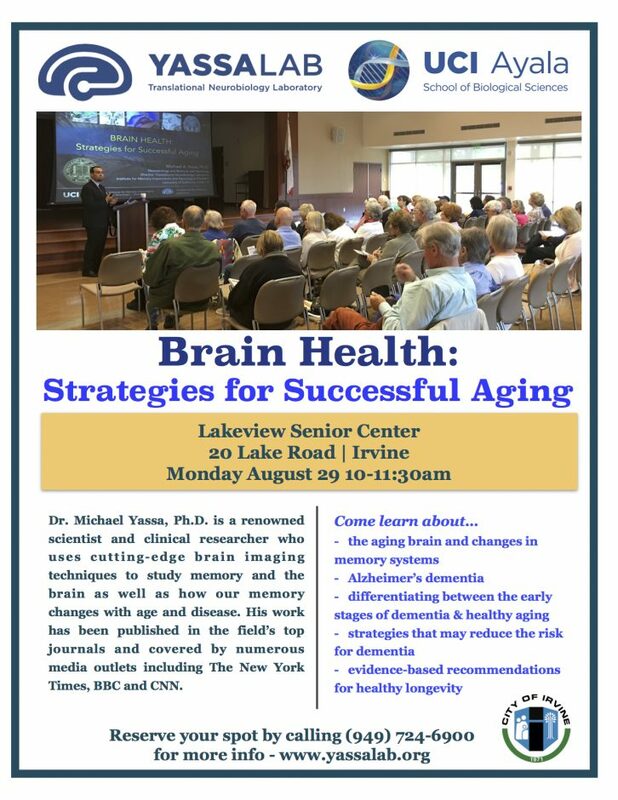 His award winning work led to insights in how the brain works and how it is affected by Alzheimer’s disease. He had a constant desire for learning and a fascination with technology and the intricacies of how everything worked. His brilliance was beyond words. He was always surrounded by love from his family and friends. His best friend was his sister Brittany, whom he cherished more than life. They were each other’s greatest supporters and fans. 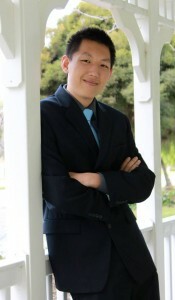 Beside work, his hobbies included rock climbing, video gaming, canyoneering, snowboarding, skiing, and LARP. He was loving, sweet, honest, caring, and kind. He will forever be remembered with laughter and smiles. He is survived by his grandparents; father Jim (Pat), mother Treasa (Mark); sisters Brittany and Melissa (Diego); brothers Cody (Rachel), Zack, Rhett, Chase, Colton, and Justin; uncles, aunts, nephews, nieces, and cousins. He is preceded in death by great grandparents; step-grandfather Clausen Bennett, step-grandmother Carol Rice and brother Tyson Rice. Undergraduate 3rd year Matt Tsai was recently awarded the Brian Atwood Scholarship in the Ayala School of Biological Sciences at UCI. This scholarship is awarded to junior-level Biological Sciences majors who have demonstrated outstanding achievement in both scholarship and service to the UCI community. Matt’s interested in mental health have fueled his current research in the lab which explores mental health in college undergraduates. He is a true asset to our group and to UCI. 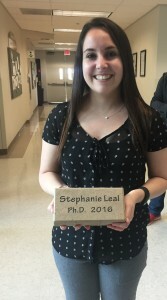 Stephanie Leal recently defended her dissertation, completing her graduate studies and earning her doctorate degree. Dr. Leal’s dissertation work, Emotional Modulation of Episodic Memory and Translational Application to Aging and Depression-Related Cognitive Impairment focuses on how emotion modulates our memory and how this modulation changes over the course of aging and depression. During her time in the lab, Stephanie has been an exemplary and meticulous graduate student and scientist, a devoted mentor and a caring friend. 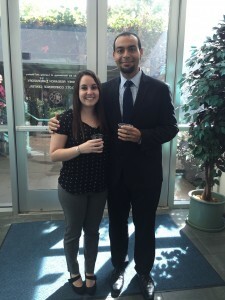 Dr. Leal has accepted a position as a postdoctoral fellow at the University of California, Berkeley with Dr. William Jagust where she will investigate the effect of tau and amyloid pathology on memory consolidation in cognitively normal aging. We will miss Stephanie in Irvine but are excited to see her advance to the next chapter. If you are interested in finding out more about Stephanie’s research, below is a list of her publications. Reagh, Z.M., Ho, H.D., Leal, S.L., Noche, J.A., Chun, A., Murray, E.A., Yassa, M.A. (2015) Greater loss of object than spatial mnemonic discrimination in aged adults. Hippocampus. 2015 DOI: 10.1002/hipo.22562. 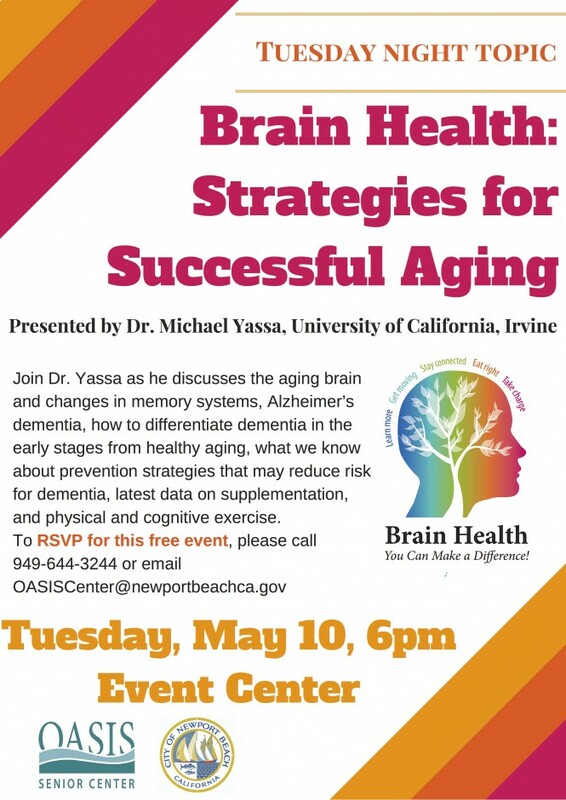 Join Dr. Yassa as he discusses the aging brain and changes in memory systems, Alzheimer’s dementia, how to differentiate dementia in the early stages from healthy aging, what we know about prevention strategies that may reduce risk for dementia, latest data on supplementation and physical and cognitive exercise. 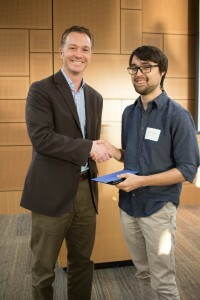 Congratulations to our 4th year graduate student Zach Reagh for a 1st place-winning poster at UCI MIND’s ReMIND Emerging Scientists Symposium in February. 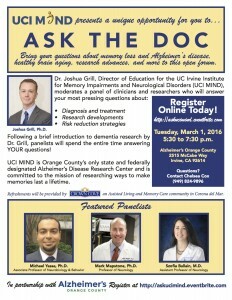 ReMIND (Research and Education in Memory Impairments and Neurological Disorders) is a student led club affiliated with UCI MIND that was created to support the next generation of young scientists studying neurological disorders. This year’s symposium was the 7th annual. For more information about ReMIND please click here. Though general memory decline is a hallmark symptom of aging, recent studies suggest that the neural pathways supporting memory for items is more vulnerable than those supporting memory for space or context. 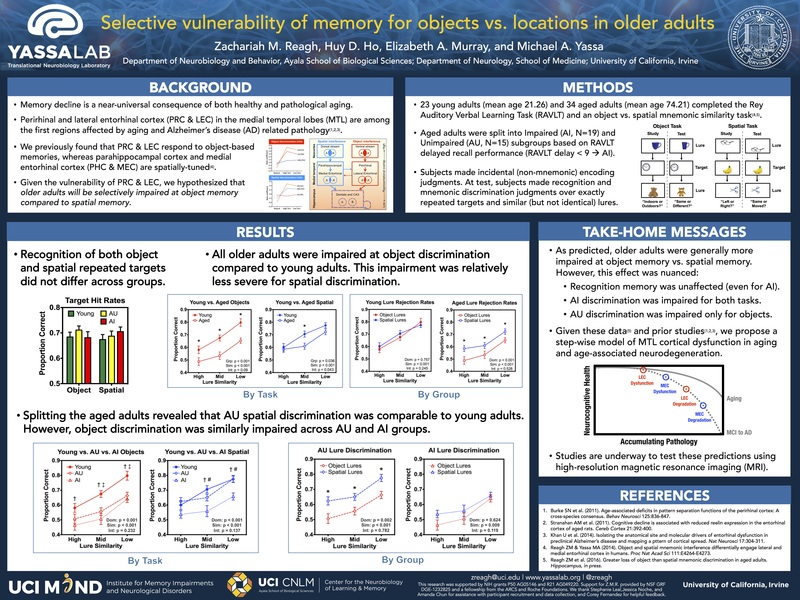 Here, we report evidence for behavioral consequences of this selective vulnerability: compared to young adults, memory for details about objects is impaired, but spatial memory is relatively intact. Our next steps are to combine this multi-domain memory task with high-resolution brain imaging to better understand memory decline the aging brain.